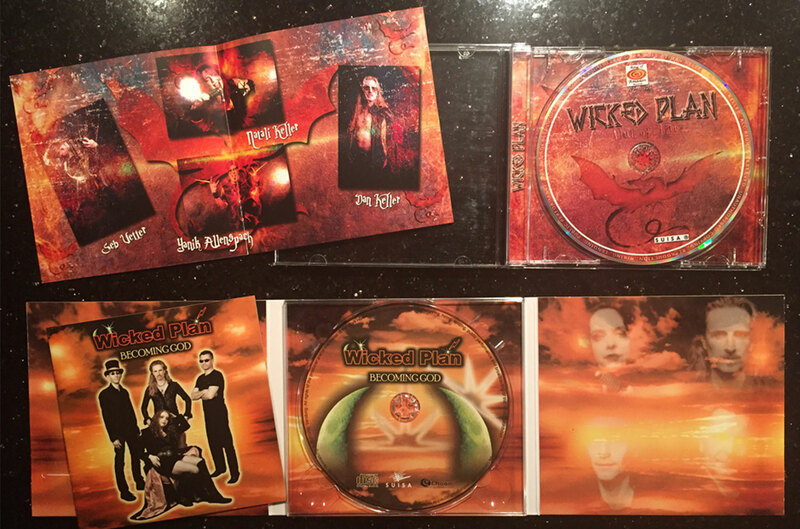 Powered by Ring Of Amadon Records. This store is using Paypal's leading security technology. For more information read Paypal Security and Safety. This webshop is only for customers in Europe. 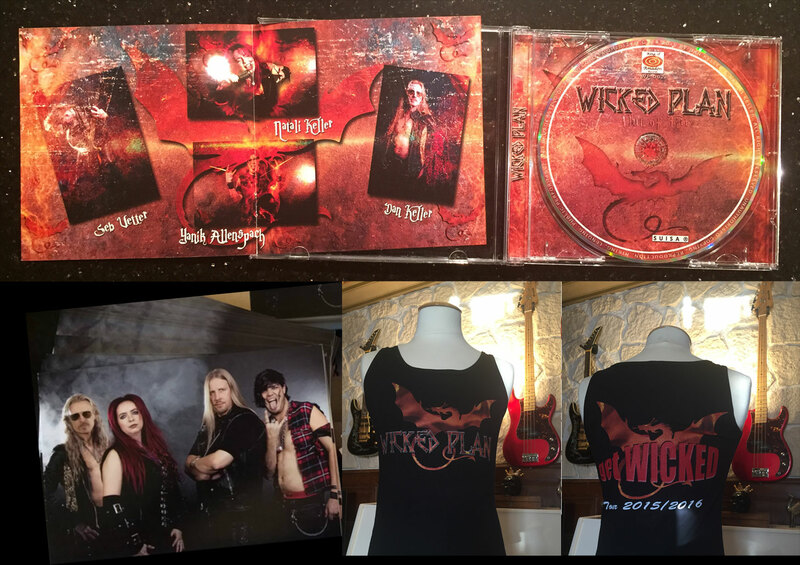 A webshop for customers outside of Europe will be available soon. 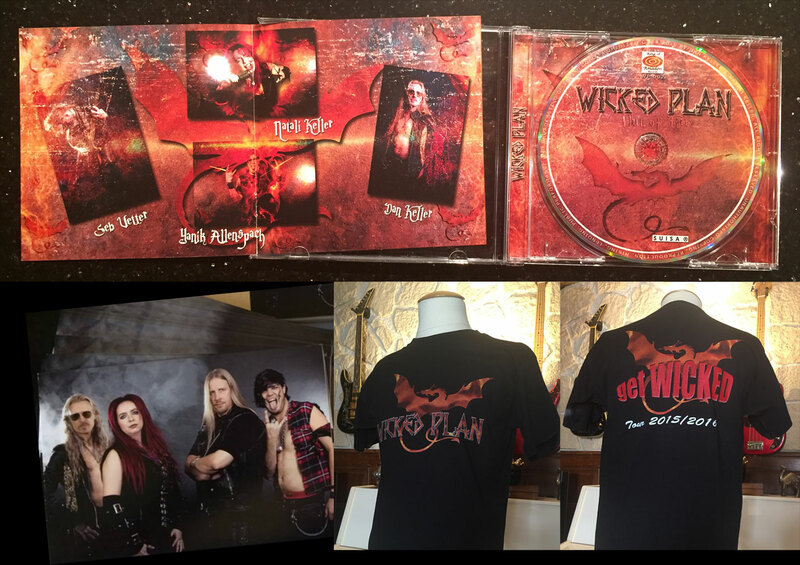 "Spice Up Your Metal Life with WICKED Sound'n Merch!" 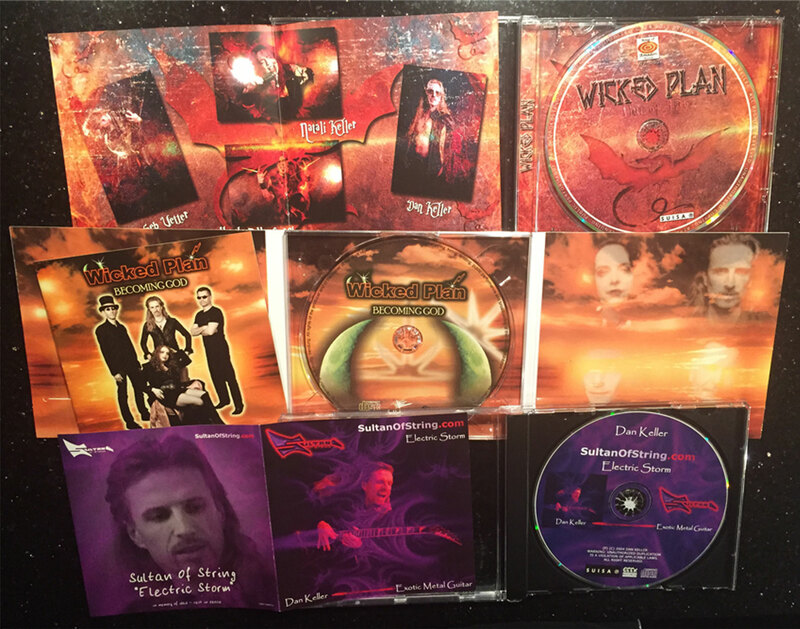 Intense and melodic Heavy Metal, mixing Metal, Neoclassical and elements of Hard Rock. 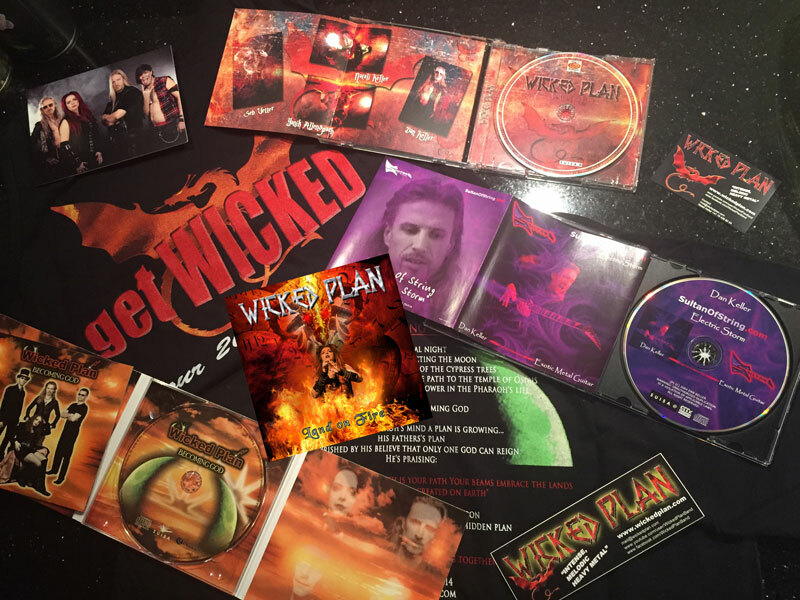 If you like to have your CD signed by all WICKED PLAN band members, or if you like us to write a specific text on your CD, then please let us know in the Paypal "Note to seller" text box . You can open/add the "Note to seller" text box during the payment process in Paypal. 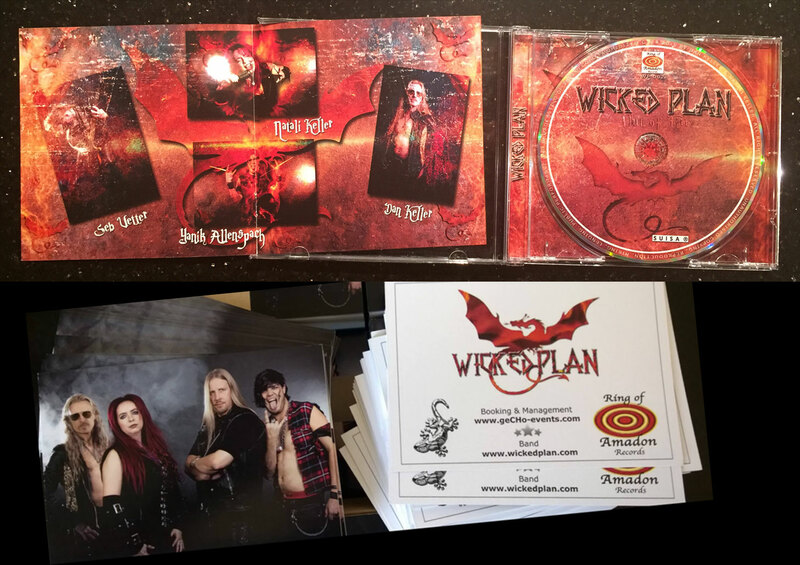 Falls du deine CD von allen WICKED PLAN Bandmitgliedern signiert, oder eine persönliche Widmung auf der CD geschrieben haben möchtest, dann schreib uns das in der Paypal "Note to seller" (Nachricht an Verkäufer) Textbox, die du während des Paypal Bezahlungsprozess öffnen kannst. 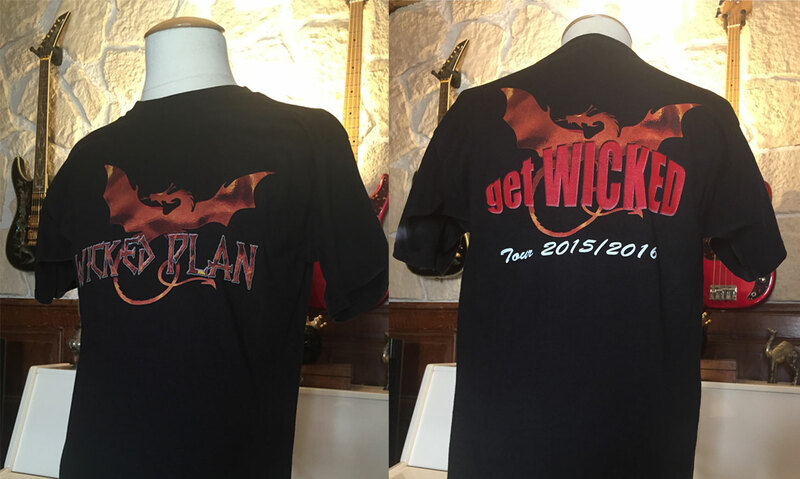 Get the original tour t-shirt of the 'get WICKED' tour! Wanna show your body? 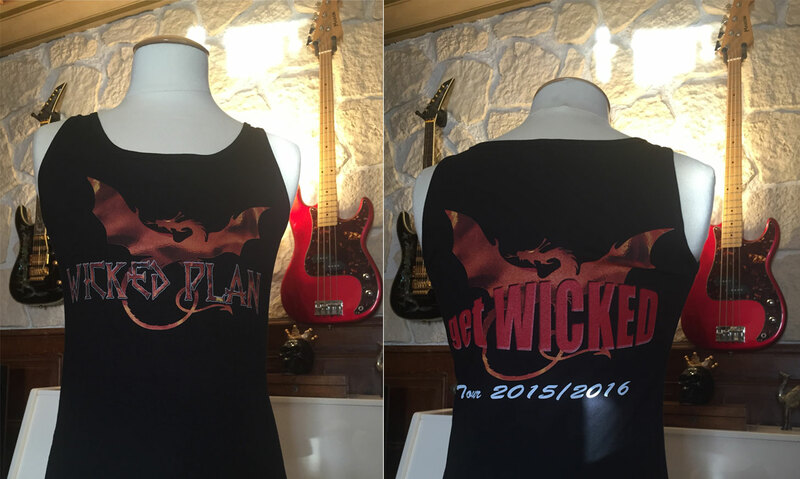 Buy your 'get WICKED' tour Tank Top! 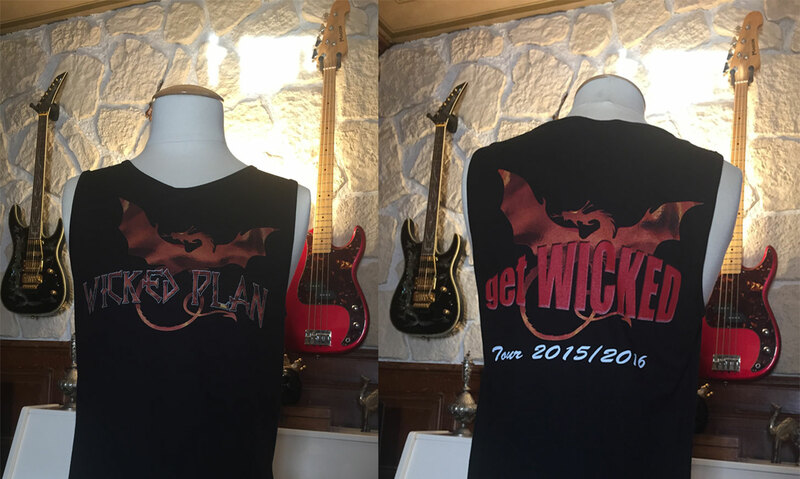 Show up with our cool Ladies Tank Top from the 'get WICKED' tour! 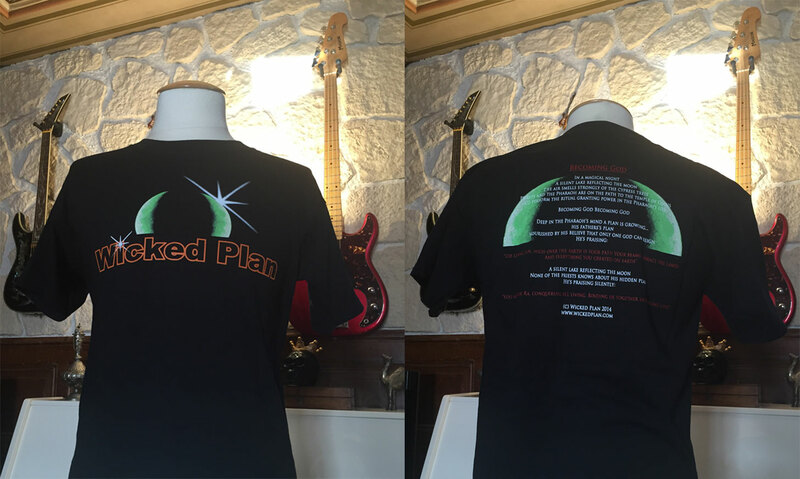 The original BECOMING GOD tour t-shirt with the green moon-eye! 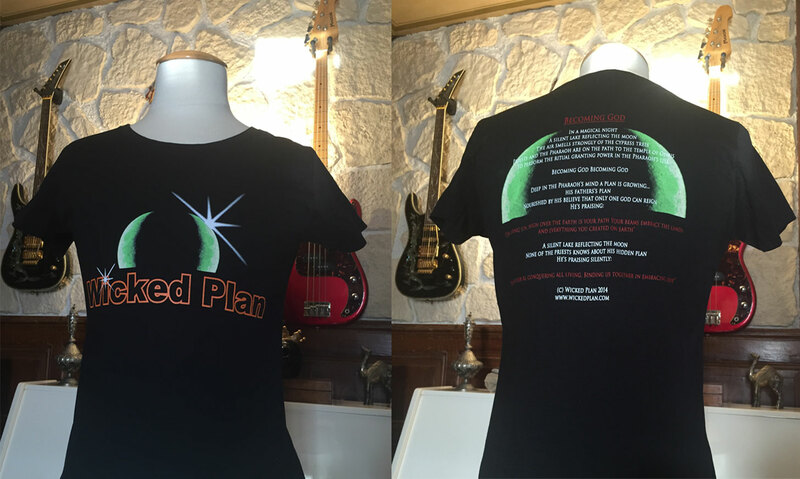 Very cool 'green moon-eye' Girlyshirt from the BECOMING GOD tour! Wanna become a GODDESS? 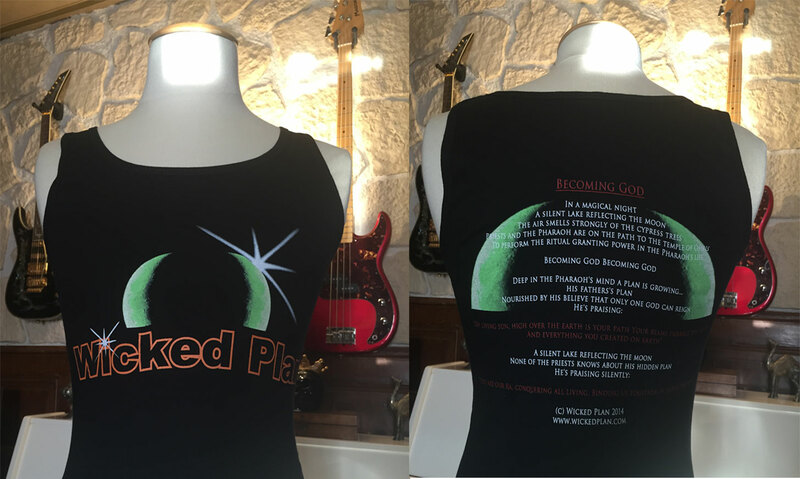 Get the Ladies Tank Top from our BECOMING GOD tour! 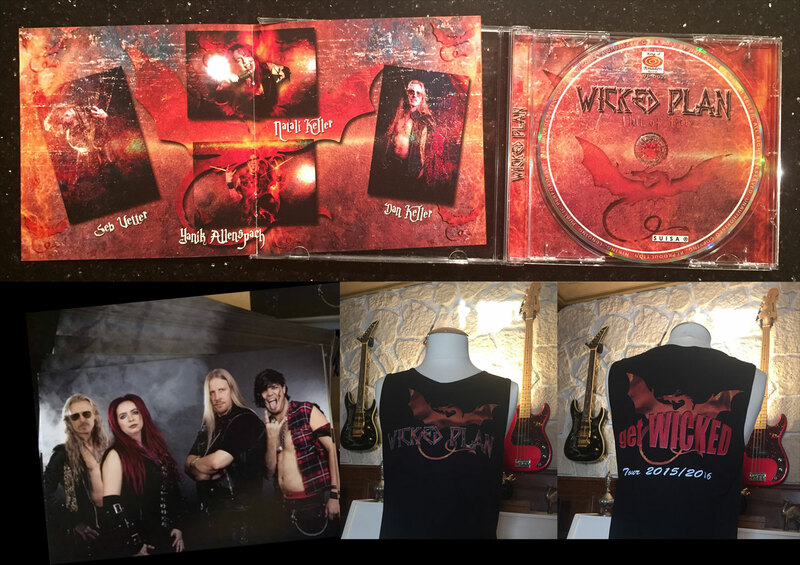 Questions about our merchandise? // Fragen zu unserem Merch?